The Writers' Conference: Write, Publish, Sell! Learn to write better, sell more, and market effectively. Meet and network with successfully published authors, editors, and publishers. Make new friends, learn more skills and enjoy a day of support for your writing dreams! Information and registration form at AuthorsForAuthors.com. Don't miss out on this fabulous writer event! Register now and avoid the rush. Please help to get the word out about the Writers' Conference: Write, Publish, Sell! Authors for Authors is proud to have Sarina Rose Rostek at the Writers' Conference on March 26, 2017, at the Hilton Melbourne Rialto. Sarina will have two presentations, Basic Publishing, and Formatting Your Manuscript for Createspace. 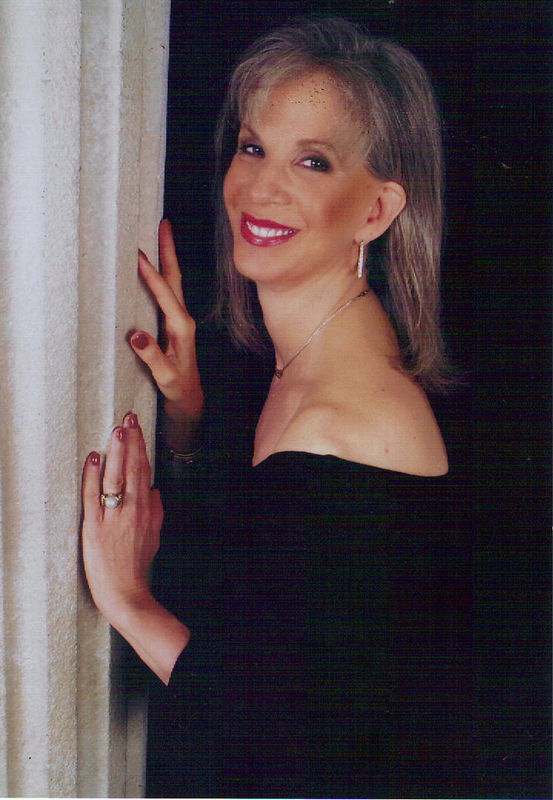 Come and meet Sarina at the Writers' Conference! 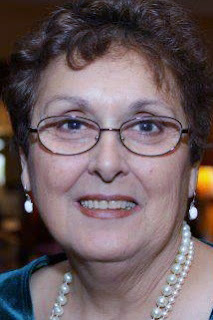 She now lives on the Space Coast in Florida with her husband and lovable dogs, Andy, and Cici. Melbourne, Florida February 23, 2017-On January 31st, 2017, Black Rose Writing, an independent publisher in Texas, published The America Series by Donald L. Gilleland for Kindle. This incredible compilation of four books shares Gilleland’s personal perspective of America over the past 50 years through documented text, conclusive research, and his own military background. 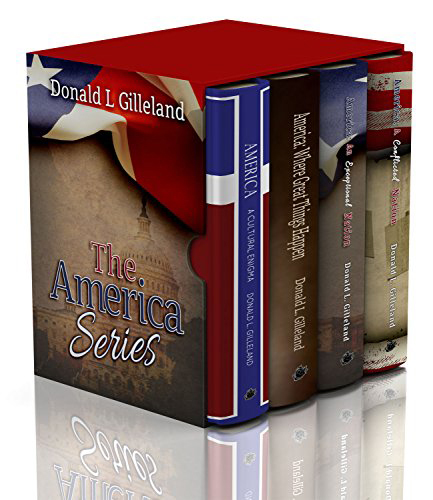 All four books of The America Series are now available in a beautiful box set for one low price. Included are A Cultural Enigma, Where Great Things Happen, An Exceptional Nation, and A Conflicted Nation (Books 1-4). America: A Cultural Enigma studies major changes of the American culture over the last 50 years. For senior citizens it is like looking through a review mirror at their lives; for young folks it explains how differently they were raised when contrasted with that of their parents. It is not a historical document, but rather Gilleland’s personal observation of huge cultural shifts that have taken place among diverse segments of our society. It may help the reader put those events into a more personal perspective. America: Where Great Things Happen focuses on uplifting and inspirational news stories that will bring a smile to your face and make you proud to be an American. Gilleland’s motivation for the book was to share wonderfully exciting things Americans do that rarely get much media attention, because the media tends to focus on negative stories. America: An Exceptional Nation explains why Gilleland believes God has blessed America to be one of the few nations that can hold out hope for the 21st century. America: A Conflicted Nation opens up a candid dialogue about national issues that Americans feel torn about, such as immigration, terrorism, and military action overseas. Instead of looking the other way, Gilleland confronts these topics head on in an effort to help readers shake off discomfort about hot button issues, and find the space where their patriotism and feelings about charged topics align. Reviews show that readers feel Gilleland’s latest book is an essential roadmap that leads to a new perspective on the issues our nation is grappling with in current times. "Gilleland's books are thought-provoking and eye-opening,” said Jaimie Engle, award-winning author and writing coach in Brevard County, Florida. “His review of hot topics and cultural issues gave me reason for pause and to reflect on my own life and I appreciated seeing the America Don knew and how it causes Americans today to be truly conflicted. This book should be required reading in all high schools across the country." The box set is available for purchase on Amazon.com. Donald L. Gilleland has lived in 12 states, visited 35 countries and published more than 500 articles in publications in his community and around the world. In addition to his writing career, Gilleland is a veteran of the armed forces who served for 30 years prior to retiring in 1984. Shortly thereafter, Gilleland began a distinguished career in the private sector as the director of public relations and advertising for AM General Corporation and the corporate director of public affairs for General Dynamics Corporation. Today, the Melbourne based author writes books and articles that challenge the current consensus about our nation’s most controversial issues. 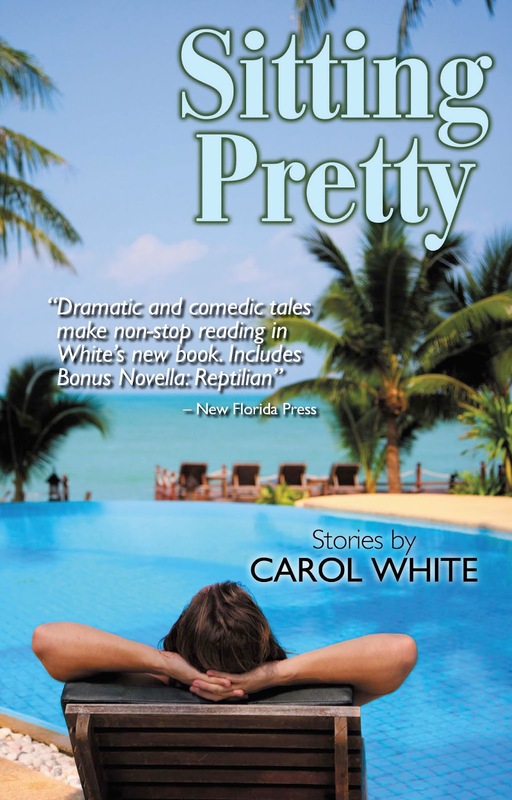 Author/Playwright Carol White will be participating in the Delray Beach Public Library’s 18th Annual Author’s Showcase on Sunday, March 5th 2:00 p.m. 100 West Atlantic Avenue, Delray Beach, Florida (561) 266-0194. She will be presenting her award-winning book of short stories, "Sitting Pretty." Thursday, March 16, 2017 11:30 A.M.
Delray Beach Golf Club – 2200 Highland Ave. – Delray Beach. 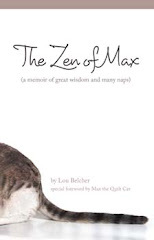 Lea Hope Becker, Pen Woman author, has honed special skills for creating humorous plots and characters in her published books and stories. Lea will share some of her secrets for crafting humor out of serious life experiences. NAME: (Print) ____________________________________Email ________________________ GUEST:__________________________________Email________________________________ GUEST’S MENU: CHOICES of entree & dessert : ______________________________________ GUESTS: How did you hear about us ?____________________________________________ (1) Thai Chicken Salad – Spicy Thai marinated, grilled chicken breast over mixed greens with sesame seeds, snow peas, peppers, bean sprouts, red onion and crispy won ton garnish, served with spicy peanut dressing on the side. (2) Poached Fillet of Salmon – Court bouillon poached salmon with creamy lemon dill sauce on the side, served with herb roasted potatoes and a vegetable medley. (3) Turkey Wrap – Deli turkey, Swiss cheese, lettuce and tomato in a wrap, served with coleslaw on the side. Enjoy a full-day festival for everyone in your family – Children and Adults. The Boca Raton Branch National League of American Pen Women, professional writers, poets, artists, and composers, will share their expertise in workshops, activities, discussions and exhibits. Proceeds for this event will benefit our ongoing Scholarship Fund for college women in the arts. Visit our Web Site at http://www.bocapenwomen.org/free-spring-family-festival-hosted-by-boca-raton-pen-women/ to see time schedule of events for this Festival. Salem, New York – Savvy Press announces the release of Mayhem in Matlacha. The latest mystery by acclaimed novelist jd daniels, Mayhem in Murder is a fun, edgy, fresh, and feisty tale set against the backdrop of a funky, artsy Southwest Florida fishing village. Mayhem in Matlacha opens with Jessie Murphy haunted by the fact that for months she’s been stalked. Distracted, on her trip to Florida, she veers off the road when a van comes too close to her vehicle. Unbeknownst to Jessie, that accident marks the beginning of a search for both a murderer and a stalker. With no shortage of suspects, Jessie launches a pulse-quickening investigation that leads her to death’s door. But through her own power of reasoning and feisty Irish refusal to not finish a job once begun, Jessie uncovers a startling, surprising ending. “jd daniels`characters are eccentric and bold. She paints a perfect picture of a sleepy little artsy village turned upside down by mayhem.” R.V. Reyes, Jeweler’s Mark—A Love & Diamonds Mystery. The Writers' Conference: Write, Publish Sell!